MINNESOTA HIGH SCHOOL sports fans, the results are in, and the Winona Winhawks are not advancing in USA TODAY‘s competition to name the country’s “best” high school mascot. The Centralia Orphans of Centralia, Illinois, claimed the Region 4 title on Wednesday with 43.482 percent (more than 5.4 million) of the vote compared to the Winhawks’ 30.788 percent (more than 3.8 million). You can click here to view detailed Region 4 results. Online voting for the national title begins at 11 a.m. ET today (March 21) and ends at 3 p.m. Wednesday, March 27. Click here to vote. Just FYI because I did not know, and you probably don’t either, a Wyvern is a legendary poison-breathing creature that is part dragon, eagle and snake. Obezags is an anagram of gazebos, a feature of the Key School campus. Which mascot would you choose as the most unique/best? Even though I live in Region 4, I’m going with the Sugarbeeters of Chinook, Montana, population 1,500. Chinook Sugarbeeters rolls off my tongue with a rural ring that pleases me. And that’s as good a reason as any to back a community which once was home to a massive sugarbeet factory, according to the Chinook Area Chamber of Commerce website. 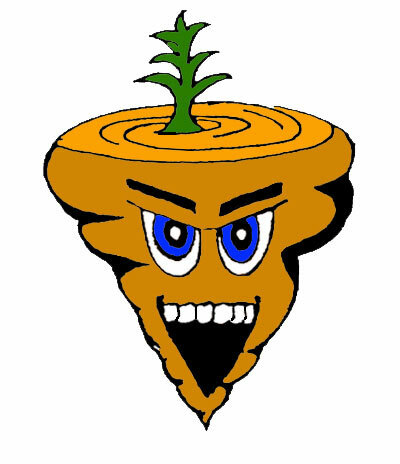 The Chamber also states that Jay Leno once claimed the Sugarbeeters ranked as number two out of 100 “strangest mascots” in the U.S. Whichever mascot wins, I hope the national online voting process is not plagued with technical problems and the unsportsman-like conduct of the regional rounds. Click here to read my previous post on those issues. Let’s keep this all in perspective, people. Better to lose than to resort to name-calling and mean-spirited competition. Yeah, I debated whether I should even write about this. But I figured I should give an update. Yup. Sometimes follow-ups are just “needed”! I still can’t figure out how a body can get so riled up about something like this!!!! I don’t understand it either, but then I’ve never been into sports.